A pair of reports on Tuesday claim Apple is revamping its iPod touch media player and will borrow components from both the upcoming next-gen iPhone and existing iDevices like the iPhone 4S. 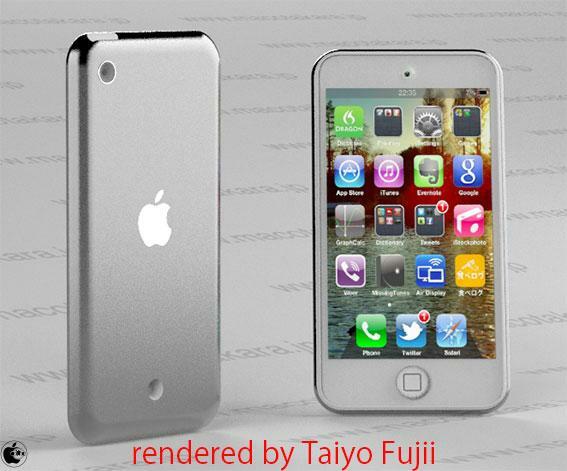 Echoing analyst Ming-Chi Kuo's report earlier today, Japanese language Apple blog MacOtakara claims Apple is preparing a new iPod touch that will marry a larger display with updated internal components in a refreshed aluminum housing. According to the site's sources, the fifth-generation iPod touch will boast a large 4-inch screen identical in size to the rumored next-gen iPhone, though it is unknown if the two devices will share the exact same part as such high-resolution displays are in short supply. While specifics concerning the screen's source are unclear, Kuo said in his report that the unit will likely use the same in-cell touchscreen LCD technology as Apple's upcoming handset. The media player will also get a speed bump with Apple's proprietary A5 processor, the same silicon powering the current iPhone 4S. Sources note that Apple will eschew the polished aluminum casing seen on all iPod touch models in favor of a "buffed aluminum" finish more akin to the company's MacBook line. As usual, the unit will be offered in black as well as the white design introduced to the line last year. The purported device also sports a small hole on the back case opposite the rear-facing camera assembly but sources make no guesses as to the feature's use. This is similar to a hole found between the camera and LED flash on reportedly leaked pre-production next-gen iPhone case backs which later disappeared on more recent versions of the "uni-body" chassis. While pricing and availability have yet to be nailed down, Kuo believes the new iPod touch could kick off a huge Apple product cycle at the beginning of September that will see the release of a smaller iPad, a tweaked full-sized iPad and a next-generation iPhone.